We will figure it out, whether it’s a one-year deal or eight-year deal, something is going to happen in between now and six months from now. I don’t know if there is a big rush, I would like to get it done with Jim [Benning], that could happen in the next week or later on. We are both open to discussing all options. Overall Brock is open to anything. Boeser has been one of the most productive goal scorers in the league since joining the Canucks less than 24 hours after his University of North Dakota team was eliminated from the 2017 NCAA tournament. He scored in that first game as part of the Vancouver organization and hasn’t slowed down, tallying 59 goals in 140 games. Injuries have been the only thing that stopped Boeser from reaching the 30-goal plateau in each of his first two seasons, but they could also put a cap on how much he’s able to earn on a long-term deal signed this summer. Instead, Boeser and the Canucks may want to look at something shorter to prove he can stay healthy and productive for a whole season. The team has plenty of cap space, but does need to keep one eye on the future after the impressive debuts from some of their other young players. Elias Pettersson looks like he’ll demand a huge contract in a few years, and Quinn Hughes could do the same if he builds off his outstanding first impression. Those shouldn’t decide what kind of deal is offered this summer to Boeser, but a good team is always looking towards the future and trying to stay out of cap trouble. 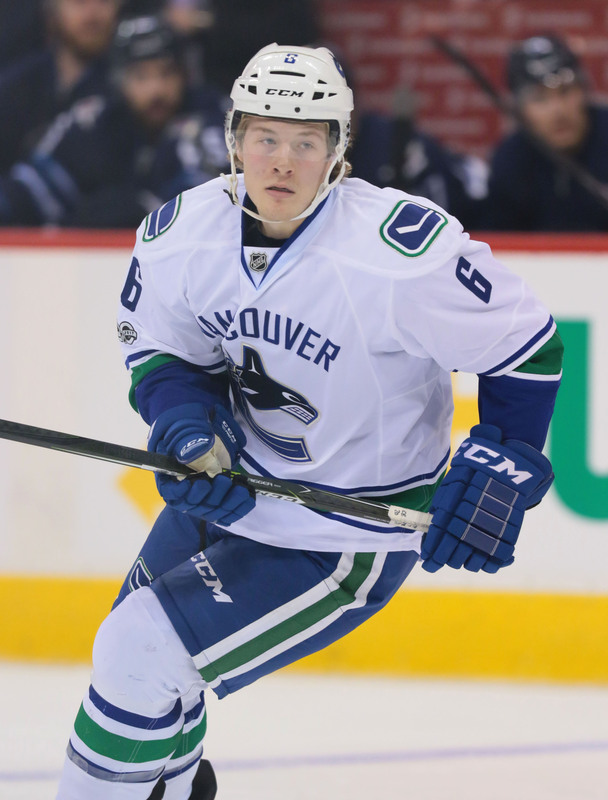 Still, there may be some real value in locking up Boeser right away. Shock waves were sent through NHL front offices when the Toronto Maple Leafs recently committed such a huge cap number to Auston Matthews while only getting five years of term, a deal that will make the star center an unrestricted free agent at age 26 but is also paying him nearly $16MM next season. While Boeser obviously won’t be pulling in that kind of dough, the idea of expensive five-year deals for players coming off their ELC is not one that teams will want to emulate given how it walks them right into UFA status at a young age. Today is all about the draft lottery and where the Canucks will select in June, but before long they’ll be sitting down and hammering out a deal with Boeser. His agent has already suggested it will be a painless negotiation, meaning the team will get back to preparing for a 2019-20 season which could see them get back to the playoffs. If they do, Boeser will be a big part of it. how about 20 years at $1.00? A bridge deal seems to make the most sense here. Vancouver likely doesn’t want to commit to a long term contract that would buy out free agent years without seeing Boeser stay healthy for a whole year. Boeser, on the other hand, could stand to make more money if he can stay healthy and get past the 60 point threshold. Is it $1.00 per year or over the life of the contract?